Enjoy browsing my archive pictures of garments I have made over the years. These garments are currently not on sale but almost all of them can be made to order. 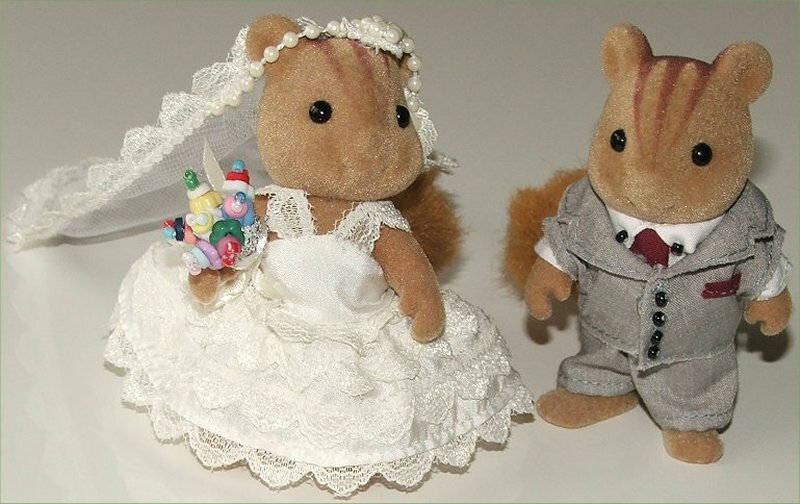 This group consists of some of my customer requests over the years including Wedding Cake Toppers consisting of the Bride and Groom together with Anniversary and Birthday Cake Toppers. Enjoy! 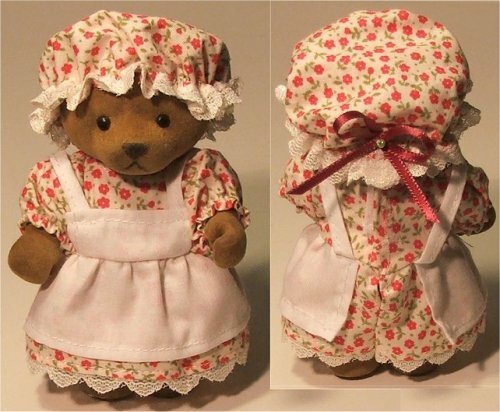 If you would like me to make one of these garments or something similar for you, please request a quote via webmail1@grandmasoriginals.co.uk. LOTS MORE TO BE LOADED BUT WILL JUST PUT A FEW UP IN EACH CATEGORY FOR NOW. 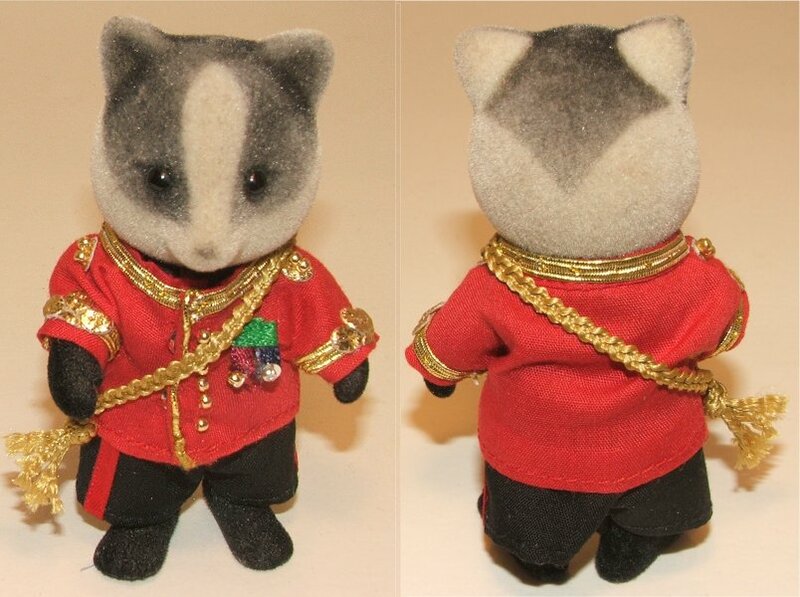 Design is the intellectual property of grandmasoriginals - do not copy.Military Dress Uniform displayed on Father Badger. 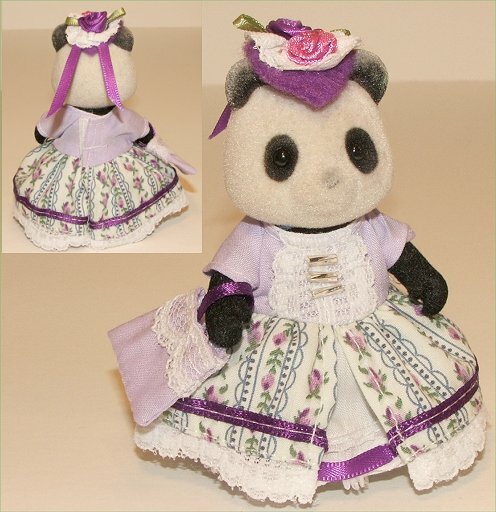 Design is the intellectual property of grandmasoriginals - do not copy.Victorian outfit for Panda Mum. Designs are the intellectual property of grandmasoriginals - do not copy. 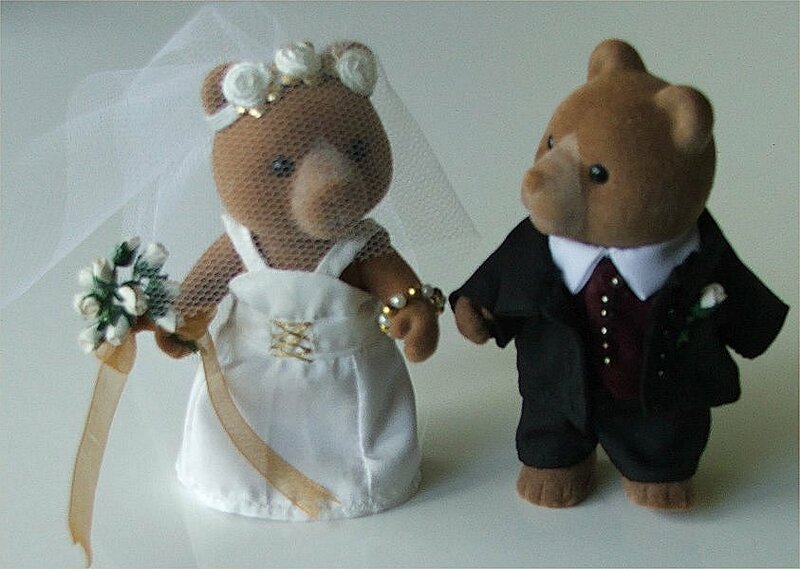 Wedding cake topper with Bride & Groom. Design is the intellectual property of grandmasoriginals - do not copy. 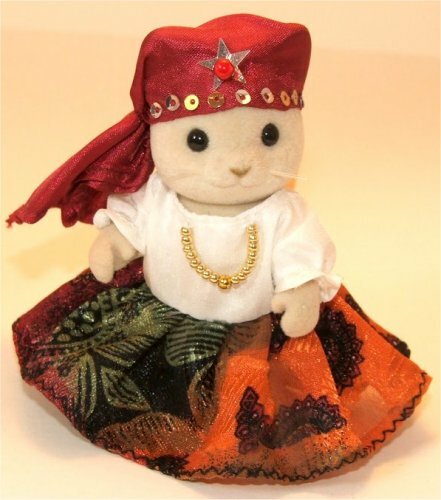 Fortune Teller outfit - see Customer pictures for settings. Designs are the intellectual property of grandmasoriginals - do not copy. 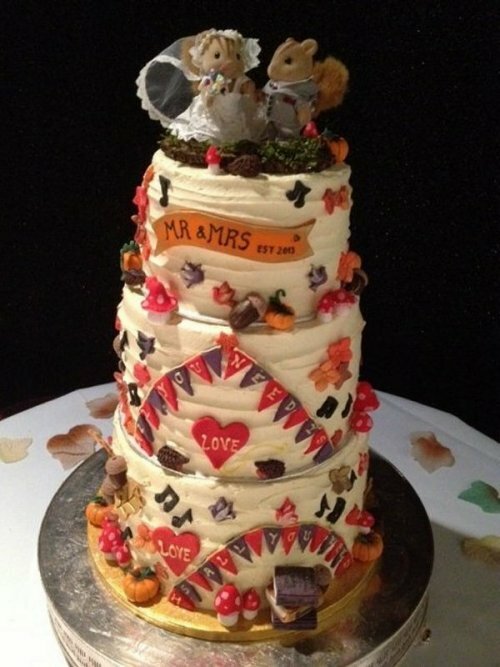 Vintage wedding dress with skull cap together with groom's outfit for wedding cake topper. Designs are the intellectual property of grandmasoriginals - do not copy. 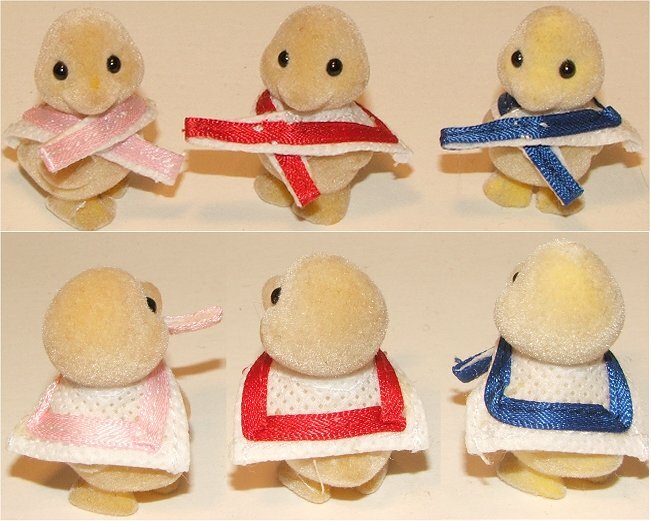 New outfits for Puddleford Ducklings. Designs are the intellectual property of grandmasoriginals - do not copy. 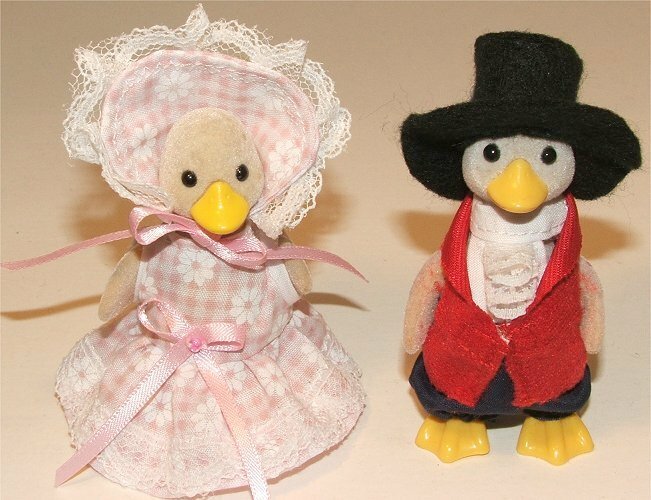 New outfits for Mother and Father Puddleford Ducks. Designs are the intellectual property of grandmasoriginals - do not copy. 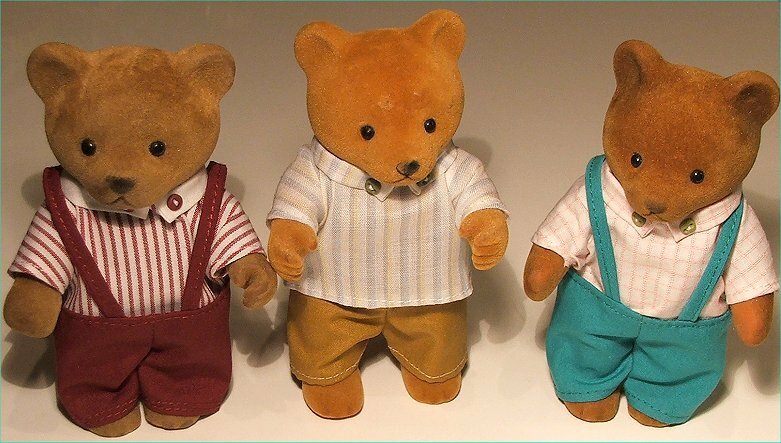 These outfits are based on an original SF design. Designs are the intellectual property of grandmasoriginals - do not copy. 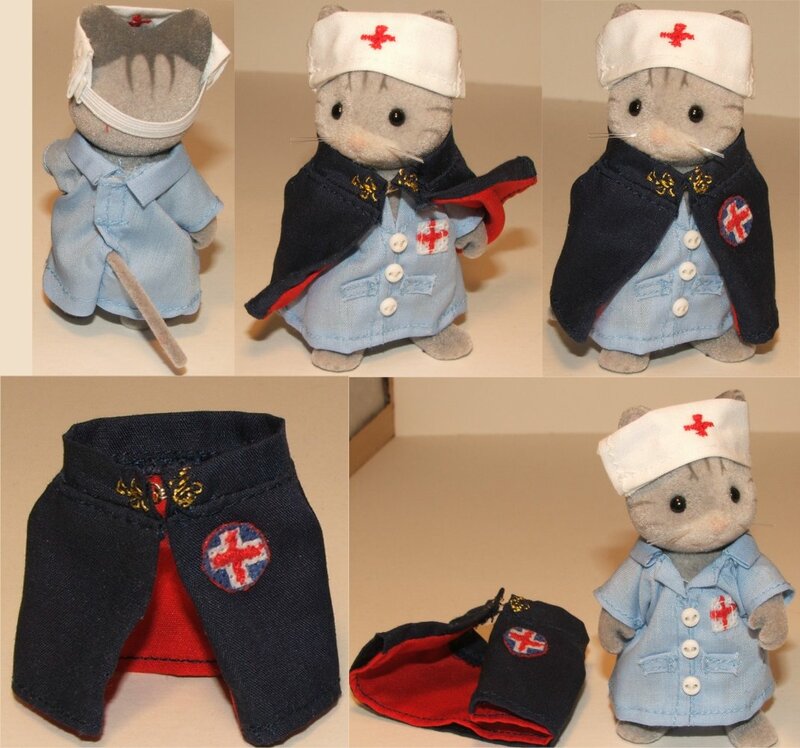 Vintage 1940's Nurse's outfit. Designs are the intellectual property of grandmasoriginals - do not copy. 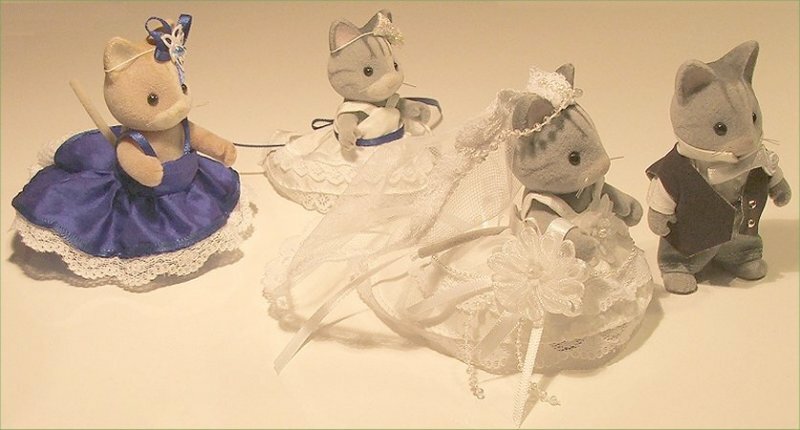 Three of the popular nursery rhyme characters - Alice in Wonderland, Snow White and Little Red Riding Hood. Bouquet is the intellectual property of grandmasoriginals - please do not copy. 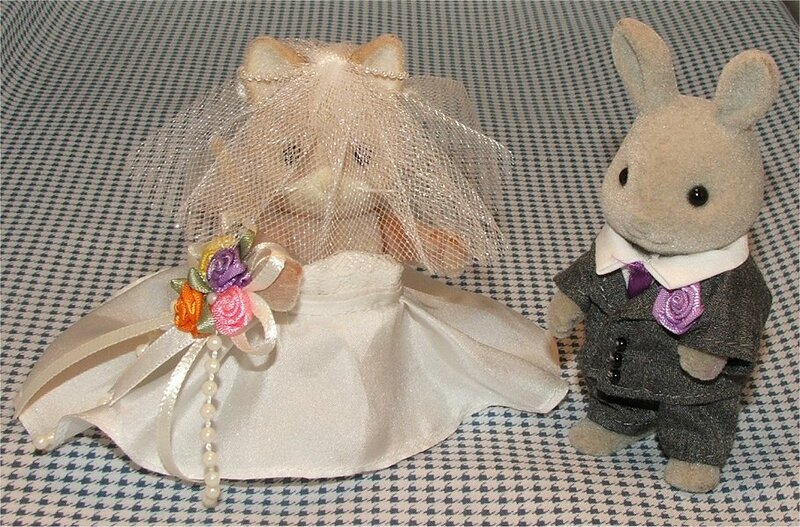 BRIDE & GROOM AS AN EXAMPLE OF WEDDING CAKE TOPPERS USING SYLVANIAN FAMILIES. 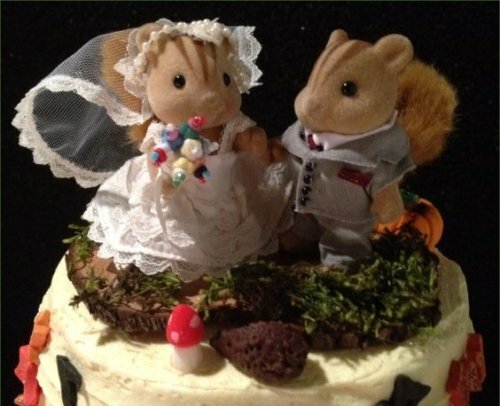 The most creative designs in cakes for that WOW! factor. 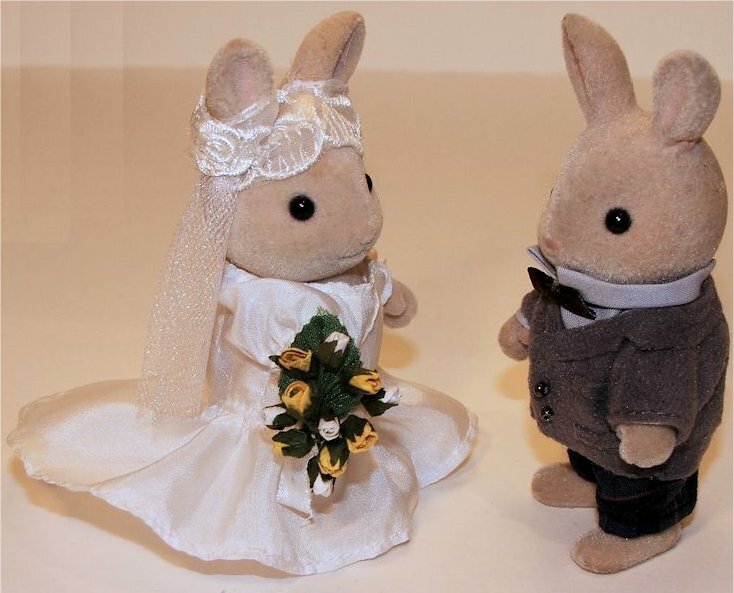 A visit to her website is a must - especially if you would like your Sylvanians for wedding cake / birthday cake toppers and for other anniversary celebrations. 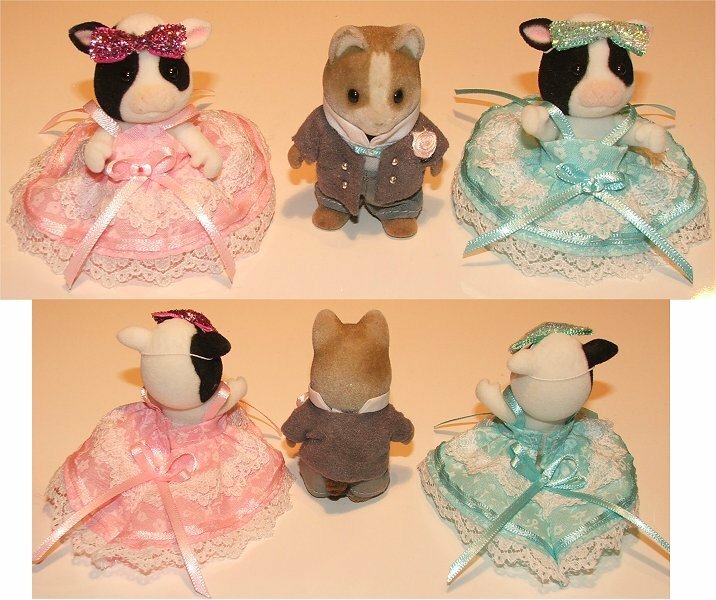 Replicas of wedding outfits for anniversary surprise. Dress is in a white 100% silk which has a mock basque type bodice, panelled skirt with net underlay. 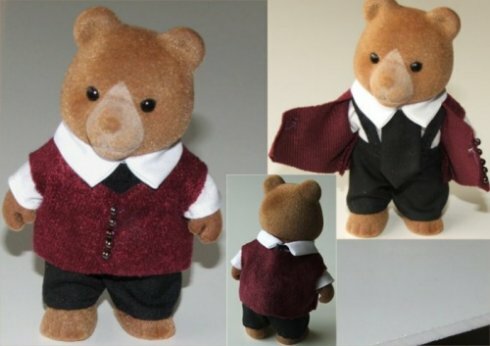 Groom has a black jacket as well as a maroon waistcoat (nearest to original) and black cravat on white shirt. 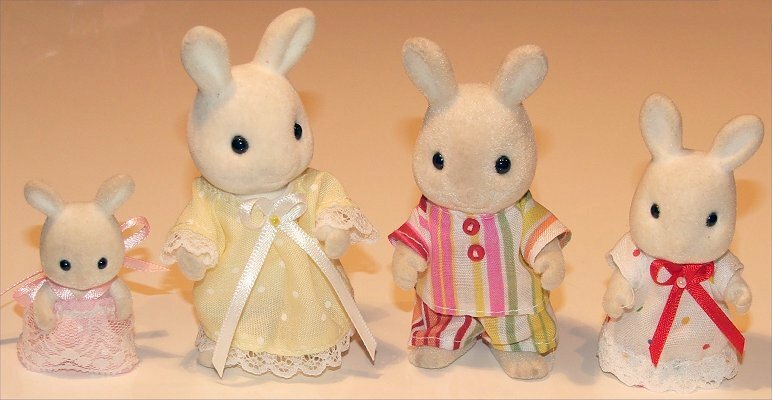 Outfits were designed from pictures sent to me and surprise kept under wraps for months! Designs are the intellectual property of grandmasoriginals - do not copy. Detail of grooms outfit waistcoat. Design is the intellectual property of grandmasoriginals - do not copy. Now here is one tricky request for a birthday cake with a seaside theme to include mermaids. 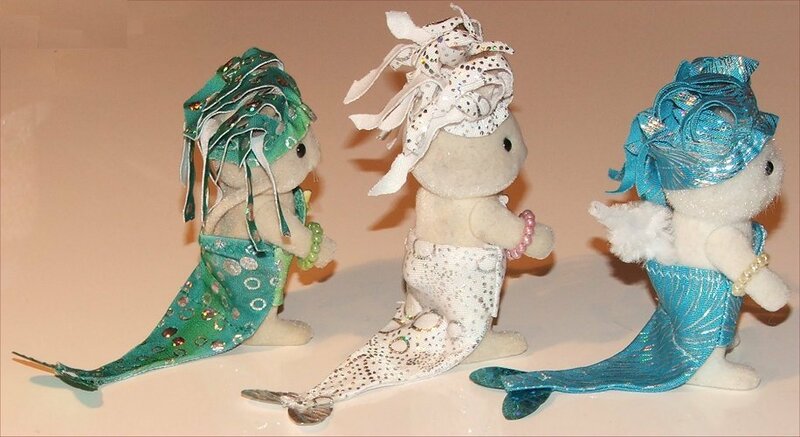 The above mermaids were designed for the mum size animals. 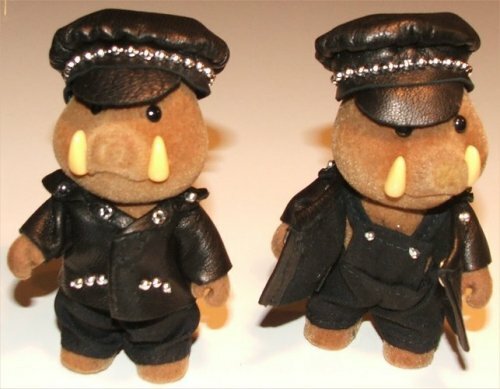 I propose making them in other colours for fun. 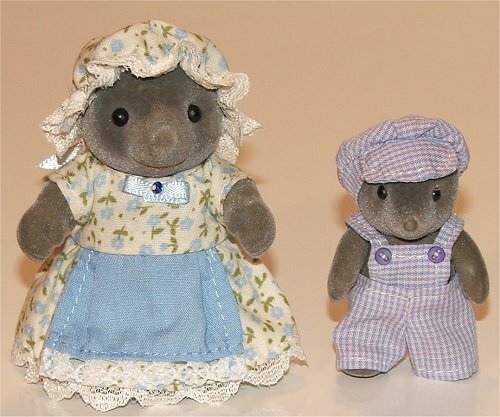 Polly was sent to me for me to design a dress for her in a similar style to the original. 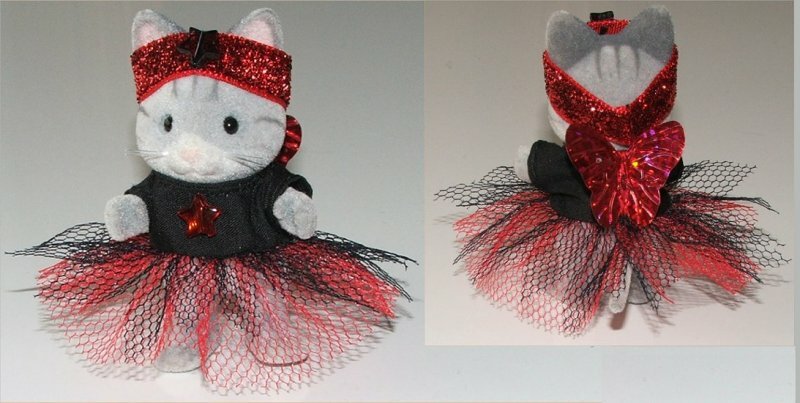 I chose a 100% silk fabric which matched the bow on her head. The dress has a net underskirt as part of the design.Design is the intellectual property of grandmasoriginals - do not copy. 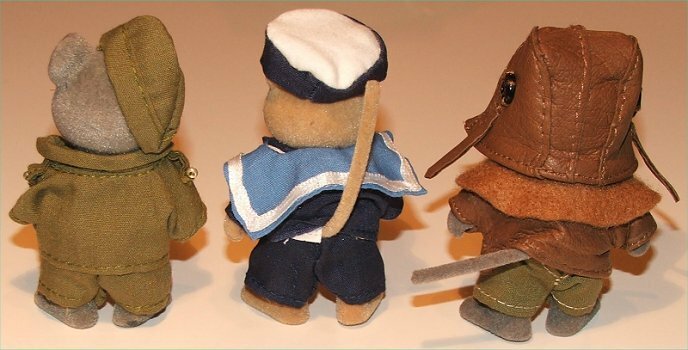 Here we have a set of Army, Navy, and Airforce uniforms. 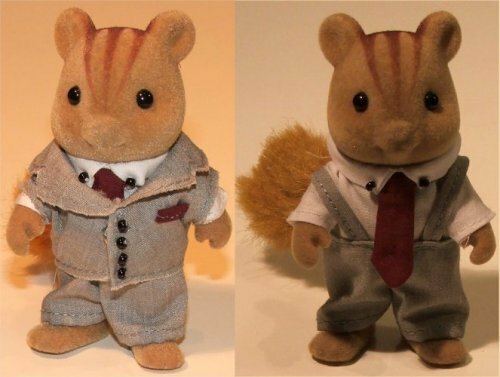 Designs are the ideas and intellectual property of grandmasoriginals - do not copy. Here we have a small selection of pyjama sets for a few families. Designs are the intellectual property of grandmasoriginals - do not copy. 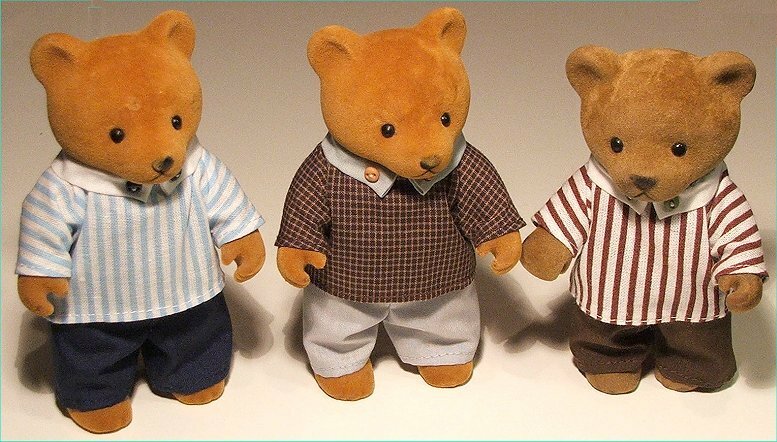 Smart casuals for the Simba Baerenwald Bears with slight adjustment to fit a soft toy meekat of similar dimensions. Design is the intellectual property of grandmasoriginals - do not copy. 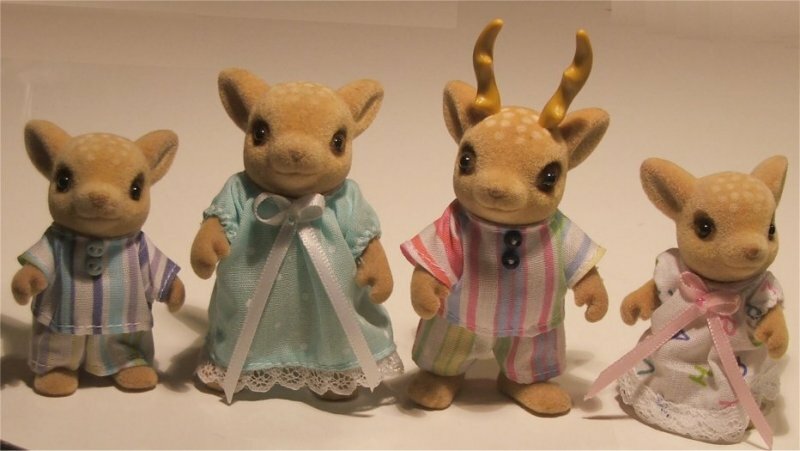 These were a special request for a collector of Simba Baerenwald animals. Design is the intellectual property of grandmasoriginals. 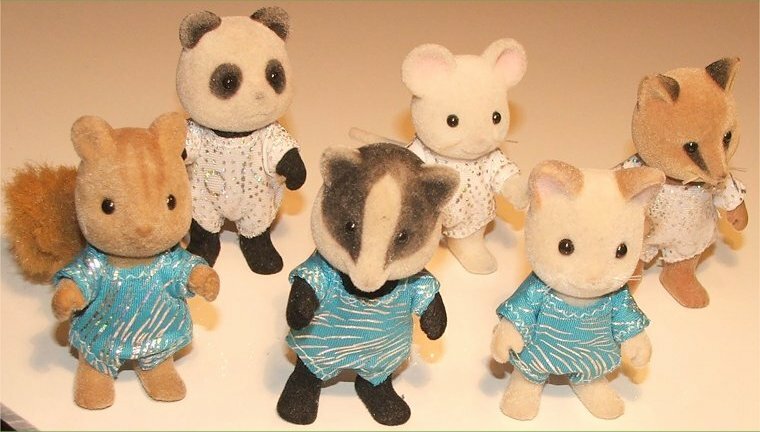 These animals are much bigger than the Sylvanian Families. 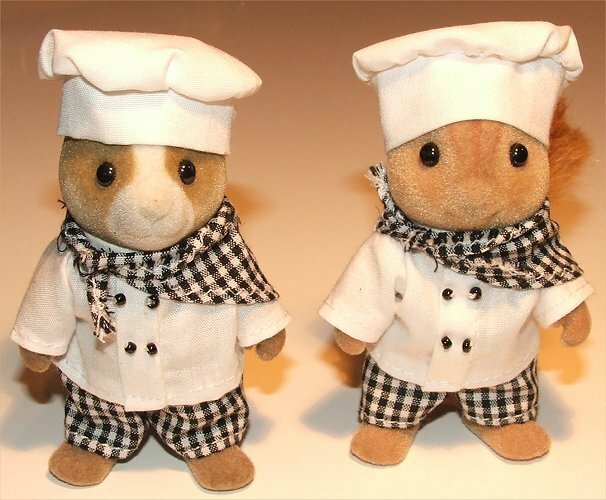 Chefs outfits. Design is the intellectual property of grandmasoriginals - do not copy. 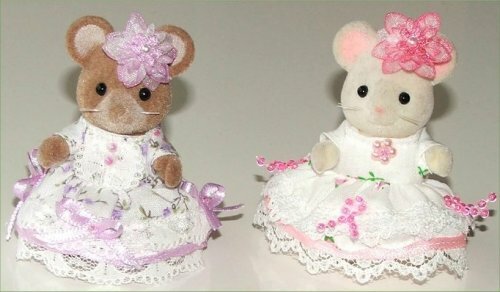 Dress suit for dad and lilac ballgown for mum. 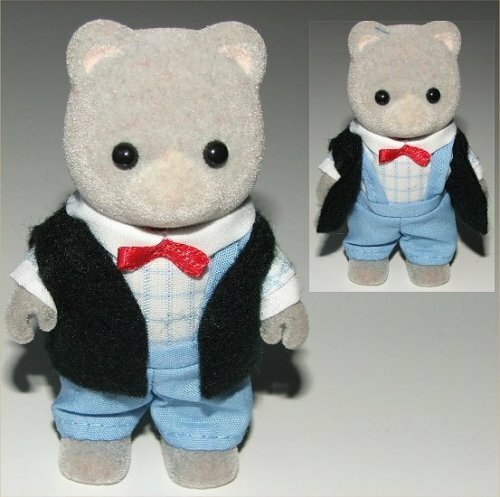 Large Grey Timbertop Bear and Marmalade Bear. 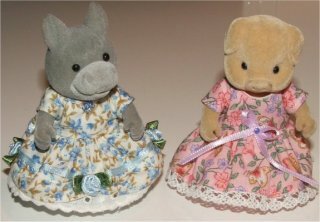 A couple of pretty dresses for Mum Donkey and Pig. 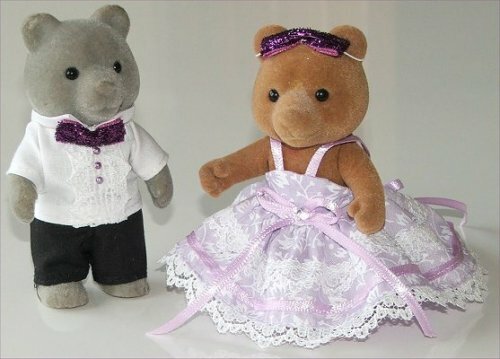 Child size dancing couple. Design is the intellectual property of grandmasoriginals - do not copy. 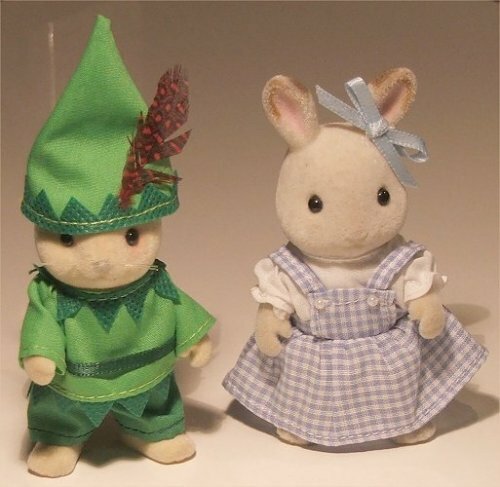 Peter pan and Dorothy costumes. Design is the intellectual property of grandmasoriginals - do not copy. 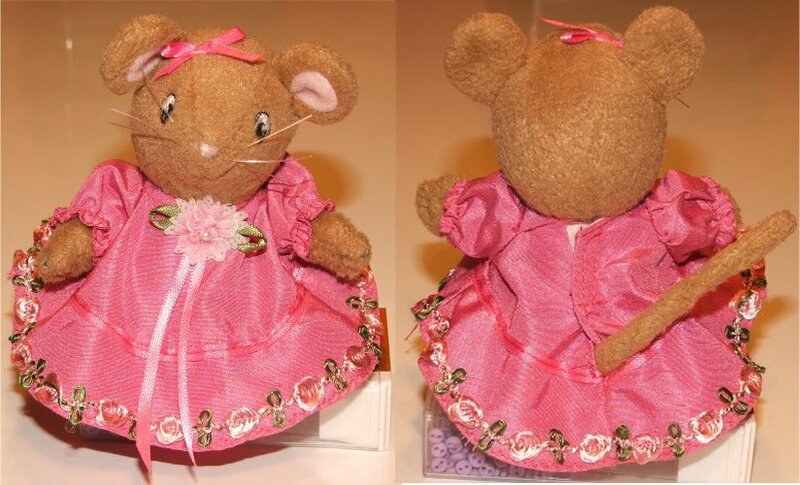 Luxury dresses for mouse child for Angelina Ballerina. Design is the intellectual property of grandmasoriginals - do not copy. 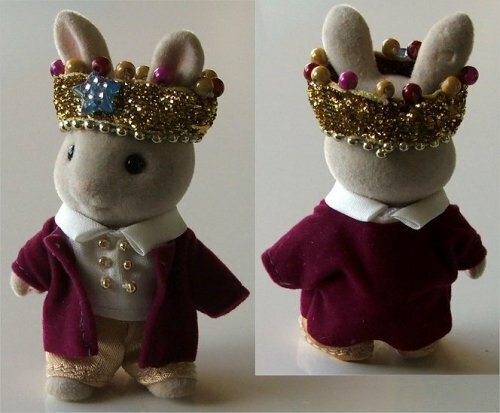 King outfit for child rabbit. Design is the intellectual property of grandmasoriginals - do not copy. 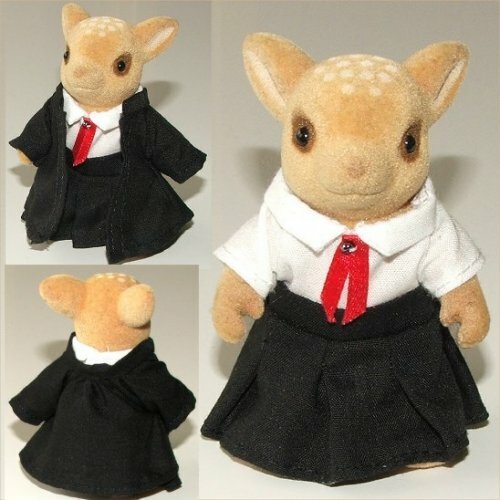 School Mistress by grandmasoriginals.Design is the intellectual property of grandmasoriginals - do not copy. Wedding party: all dresses in 100% silk with trimmings as seen. 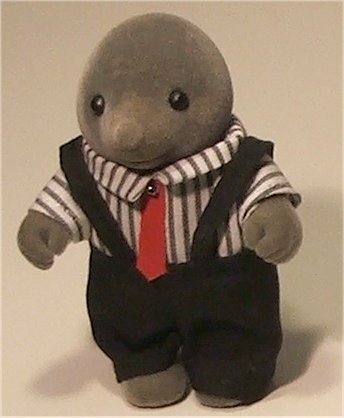 Groom has silk shirt, tailcoat and grey pin striped trousers. 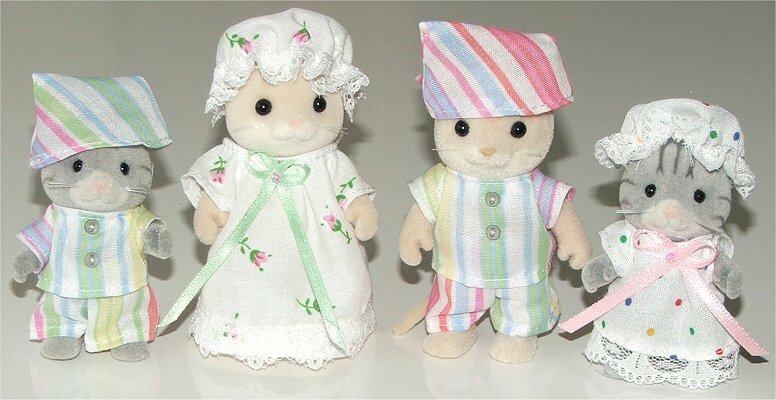 Bullrush Frog Family which includes some limited edition outfits on mum, boy, and baby boy. Selection of Winter coats for the Penquin family. Design is the intellectual property of grandmasoriginals - do not copy. 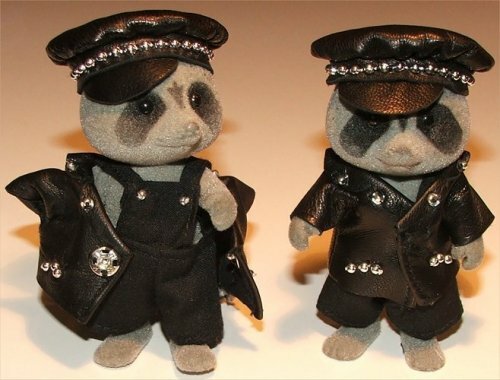 Leather bikers outfits x 4 for customer.Design is the intellectual property of grandmasoriginals - do not copy. 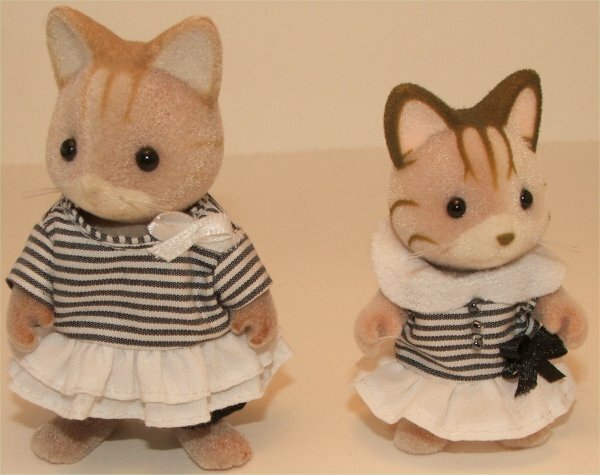 Sanji and Nami outfits for overseas customer. Design is the intellectual property of grandmasoriginals - do not copy. 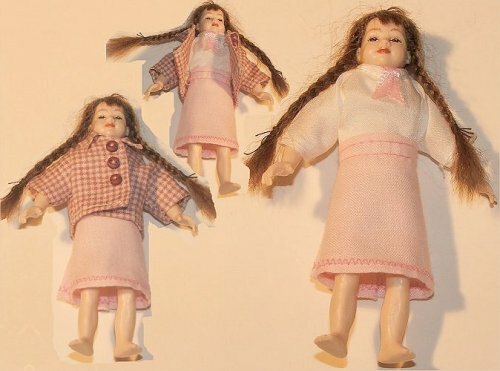 This section is for the Heidi Ott Dolls House Dolls with just a few of my modern designs. 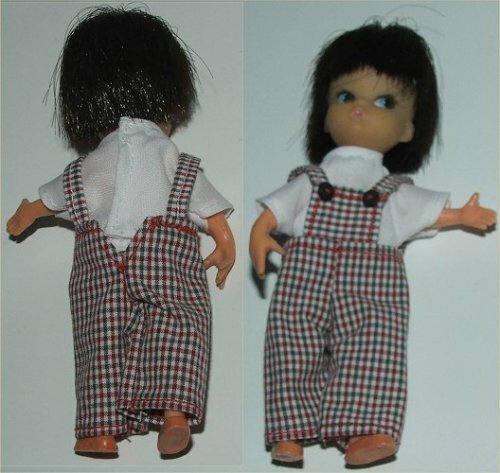 These 1:12 scale dungarees with silk top were designed for an artisan doll maker which also fit the Heidi Ott child. Design is the intellectual property of grandmasoriginals - do not copy. 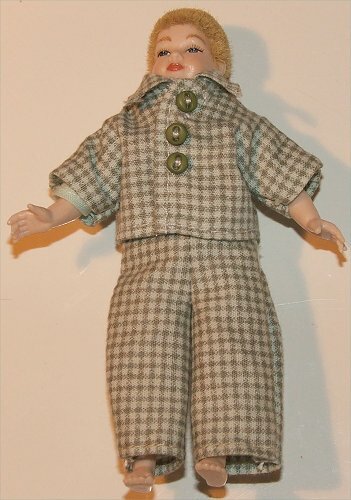 Heidi Ott Boy modern 3 piece outfit with dungarees, top and jacket. Design is the intellectual property of grandmasoriginals - do not copy. 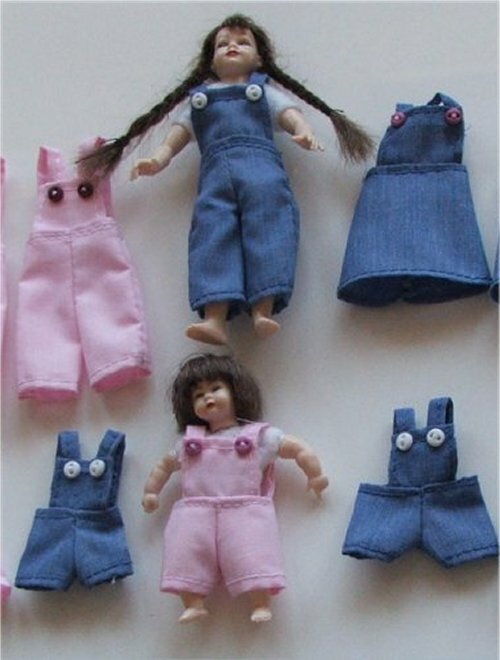 Heidi Ott Toddler 1:12 scale dungarees in pink and denim blue and pink and denim dungarees plus denim pinafore dress for Girl. Design is the intellectual property of grandmasoriginals - do not copy. 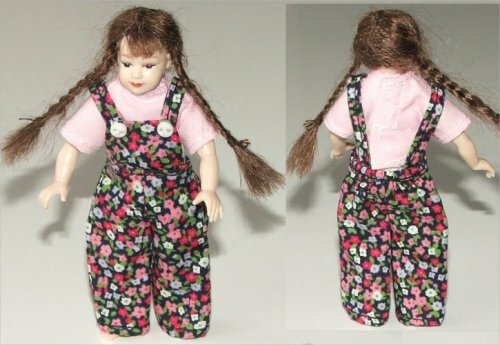 Heidi Ott Girl with navy floral dungarees and pink blouse, Boy in red,black, cream check dungarees with silk top, Boy in lovatte green check pants with straps and apple green top.Designs are the intellectual property of grandmasoriginals - do not copy. Heidi Ott Girl skirt, silk blouse and pink check jacket. Design is the intellectual property of grandmasoriginals - do not copy. 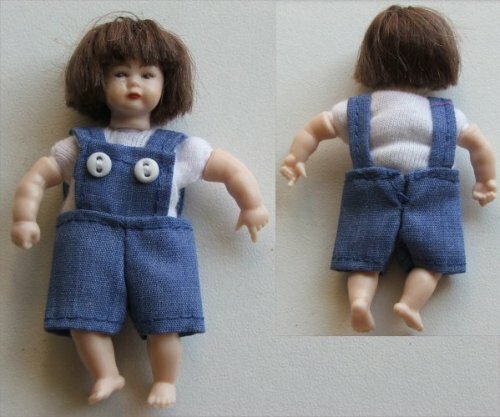 Heidi Ott Toddler denim dungarees. Design is the intellectual property of grandmasoriginals - do not copy. 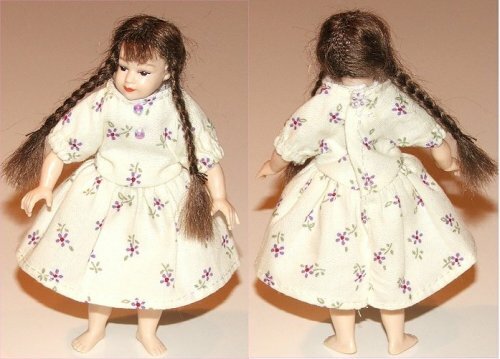 Heidi Ott Girl dress with lilac abstract pattern. Design is the intellectual property of grandmasoriginals - do not copy. 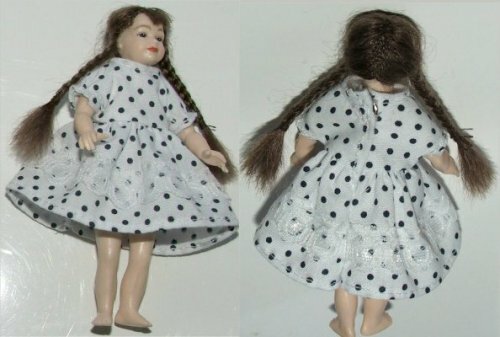 Heidi Ott Girl dress with black spot. Design is the intellectual property of grandmasoriginals - do not copy. 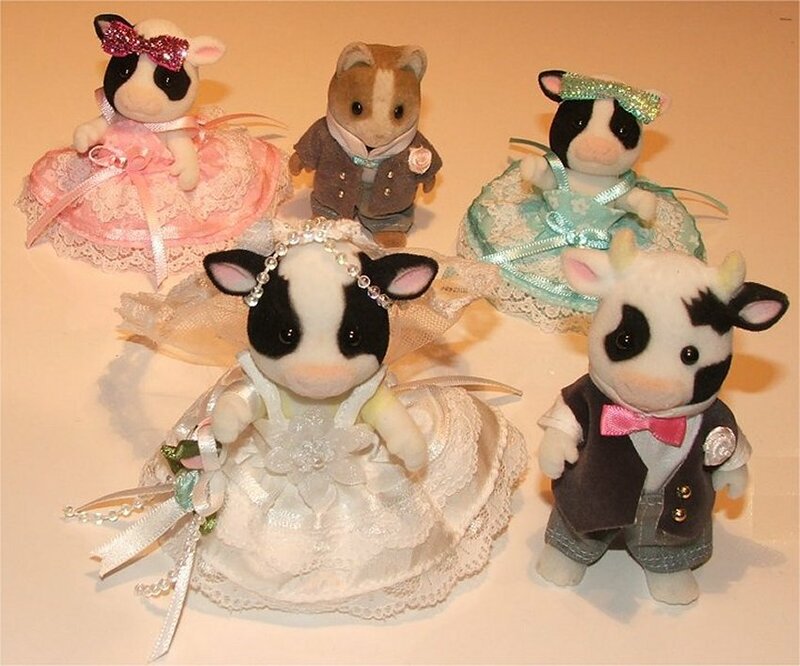 Wedding group of Fresian Cows with bridesmaids and pageboy. 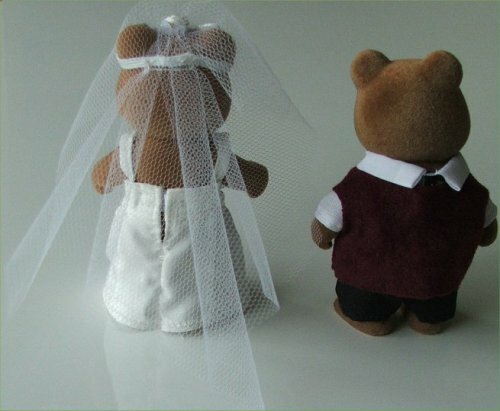 Wedding dress is made of silk with lace, organza and satin ribbon embellishments. Design is the intellectual property of grandmasoriginals - do not copy. 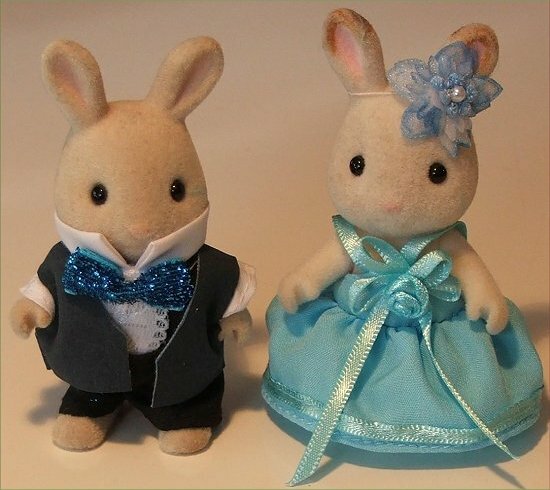 Bridesmaids are a smaller version of my ballgown design for adults. 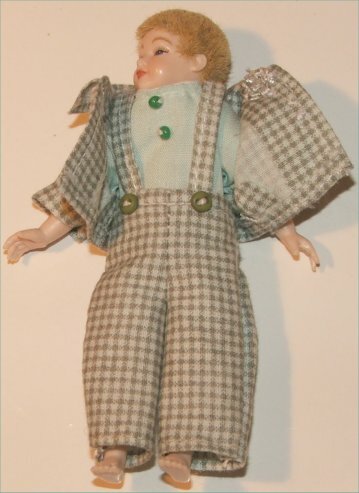 The pageboy has grey pin stripe pants with white shirt, bow tie and a smart grey jacket. Design are the intellectual property of grandmasoriginals - do not copy. Leotards for children in turquoise and white with silver pattern. Also available for the Mum size. Design is the intellectual property of grandmasoriginals - do not copy. One wicked Fairy child.Design is the intellectual property of grandmasoriginals - do not copy.